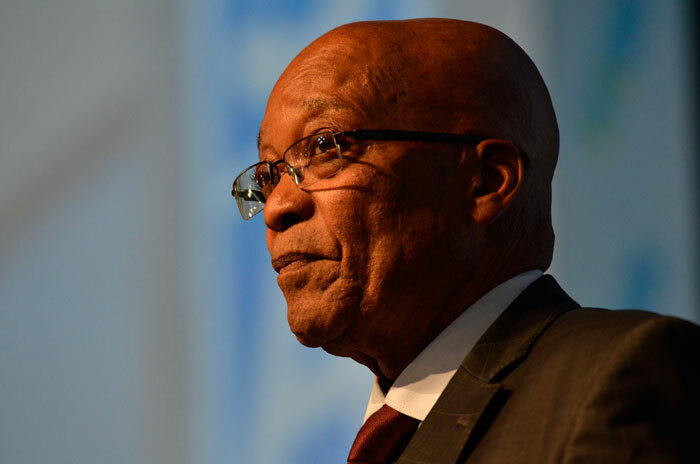 FILE PICTURE: President Jacob Zuma. Picture: Alaister Russell. President Jacob Zuma will make a statement in the National Assembly on Thursday afternoon on the xenophobic violence which has swept across KwaZulu Natal, ANC chief whip Stone Sizani said on Wednesday night. “President Zuma is scheduled to make a statement on the unfortunate violence ahead of him taking oral questions in the National Assembly tomorrow [Thursday] afternoon,” Sizani’s office said in a statement. Zuma will address MPs at 2pm on the xenophobic attacks, shortly before he is set to answer outstanding questions from last year’s chaotic August 21 sitting which was suspended after members of the Economic Freedom Fighters disrupted the President’s question and answer session. Sizani’s office said Zuma’s statement on the attacks against foreigners would afford parliamentarians the opportunity to voice their condemnation of the violence. In the meanwhile, the Economic Freedom Fighters said they would use the question session to ask Zuma whether he intends repaying any of the public funds spent on improving his private homestead in Nkandla. “That is where the question session was interrupted. So we certainly intend to return to the issue of Nkandla and paying back the money, ” EFF spokesman Mbuyiseni Ndlozi said.